schezwan noodles recipe | szechuan noodles | veg schezwan noodles with detailed photo and video recipe. 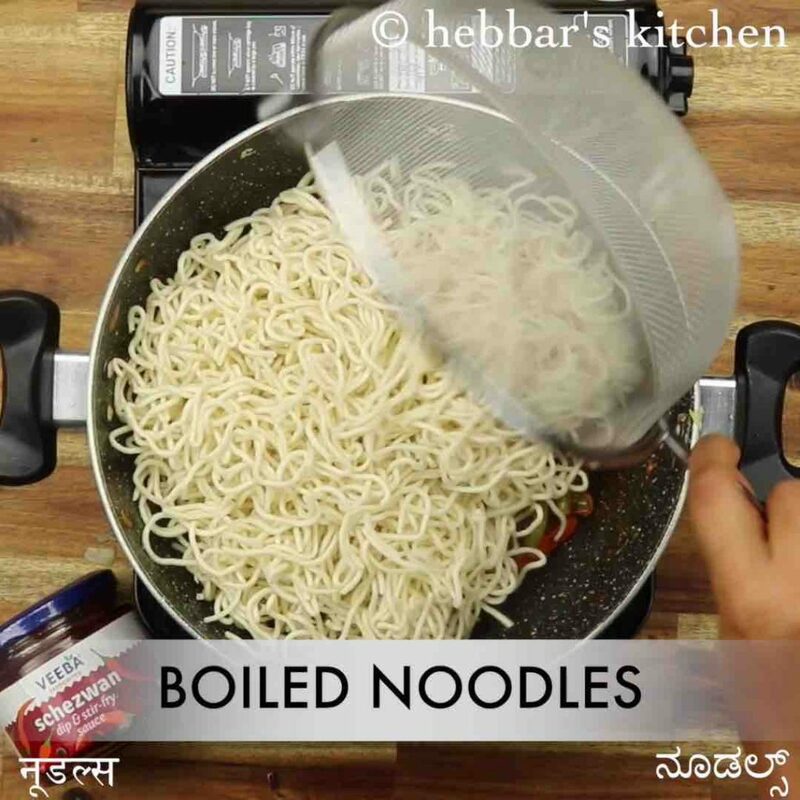 a popular and flavoured noodles recipe made with thin noodles and schezwan sauce. it is popular street food in india which can be served as a party starter or even as a meal for lunch and dinner. 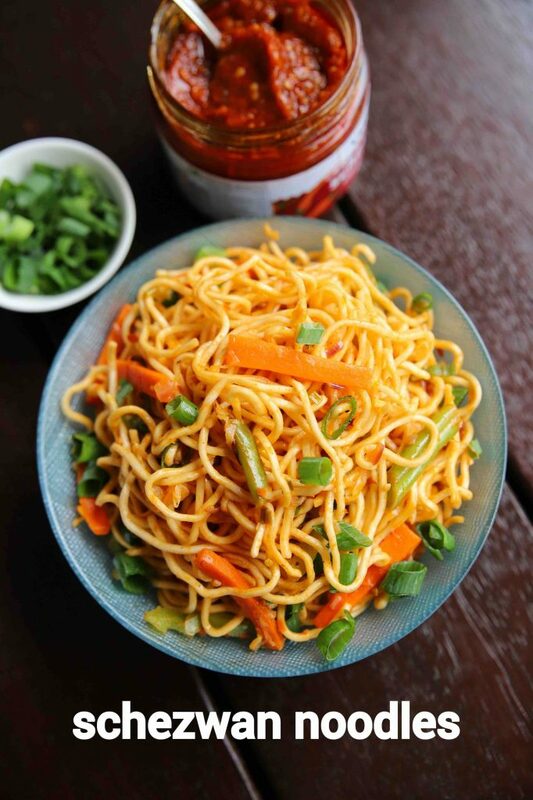 the recipe is made similar to any other noodles recipe but is made with generous amount of schezwan sauce as its base. 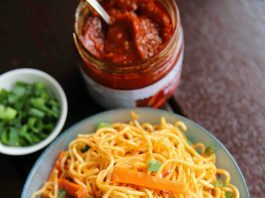 schezwan noodles recipe | szechuan noodles | veg schezwan noodles with step by step photo and video recipe. 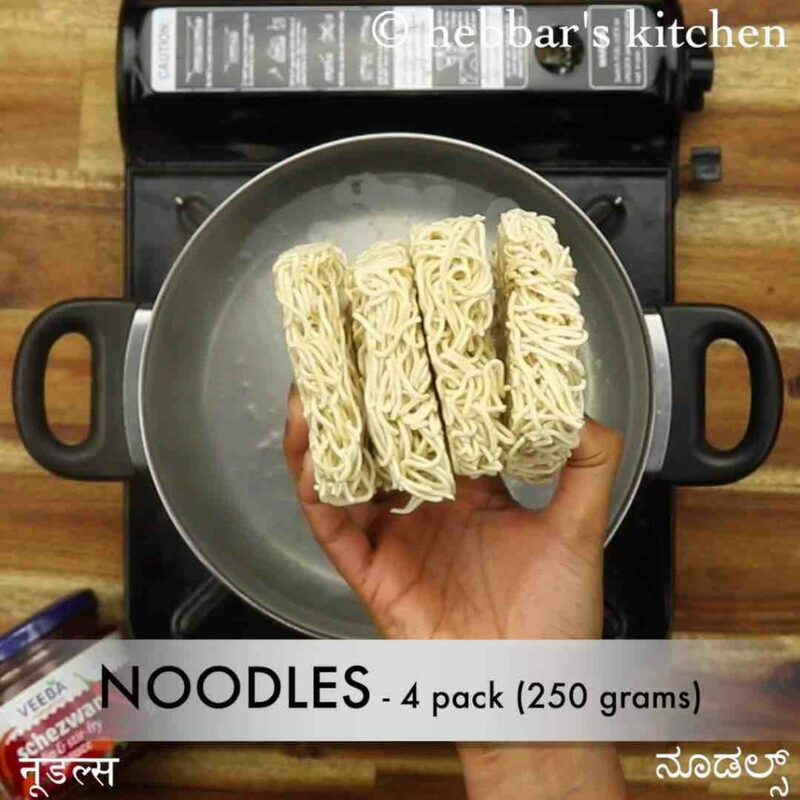 noodles recipes are common across india and are made with many flavoured sauces. 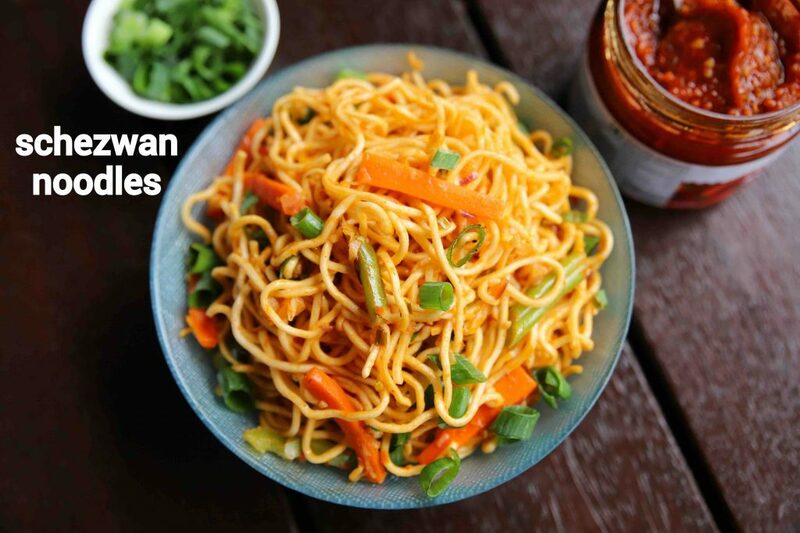 particularly the chilli and curry sauce noodles are the most popular ones and are made as street food across india. but there is one more flavour getting a lot of attention lately and that is schezwan noodles recipe. i have posted quite a few schezwan recipes in my blog, including a recipe post for schezwan sauce itself. 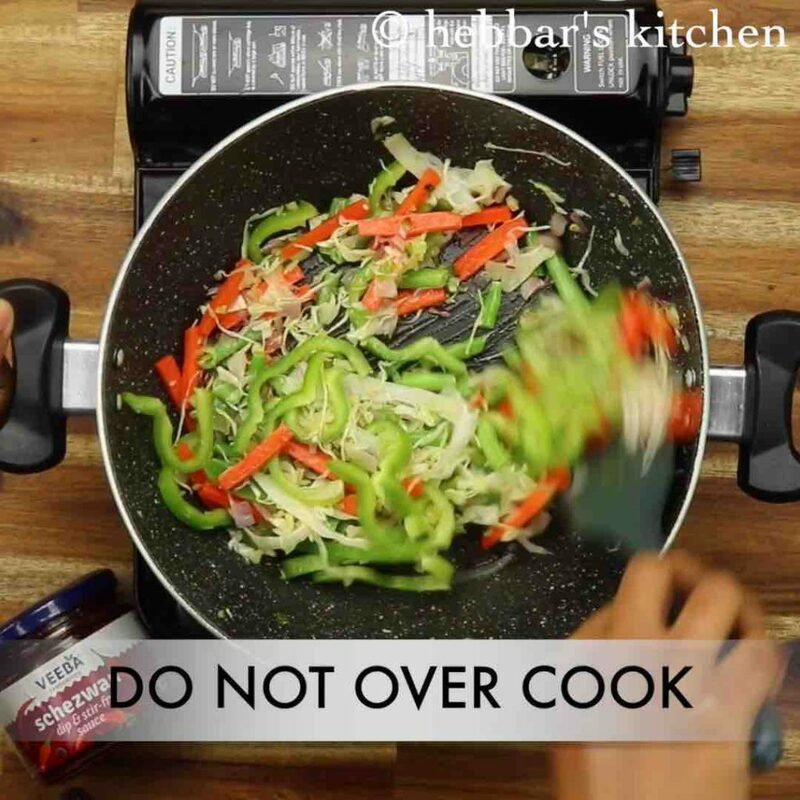 however, in this post i have used store bought veeba sauce which i personally recommend if you do not wish to make sauce from scratch. 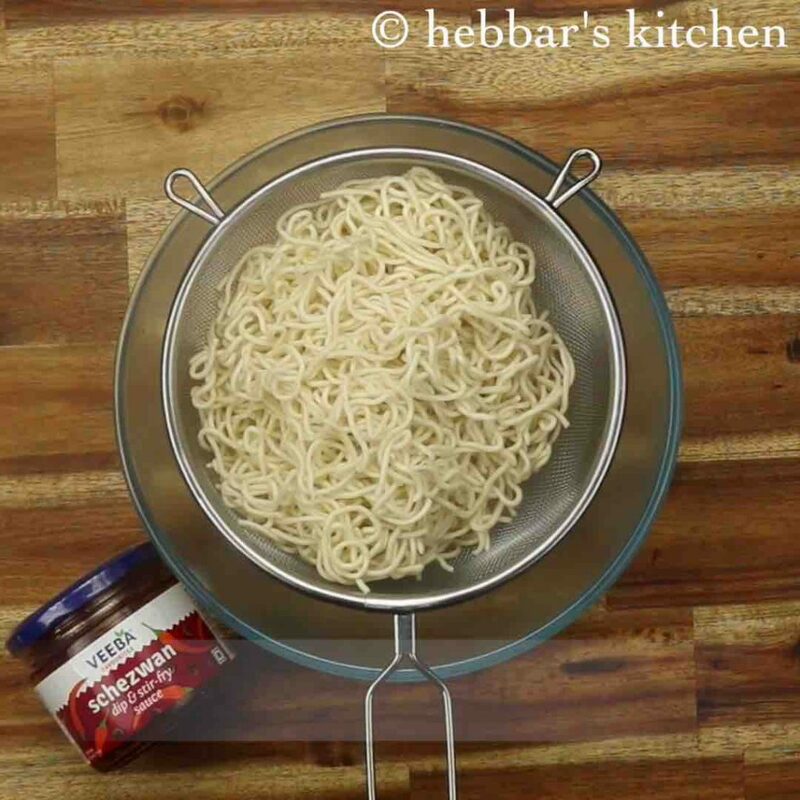 as a matter of fact, this is a sponsored recipe post from veeba. 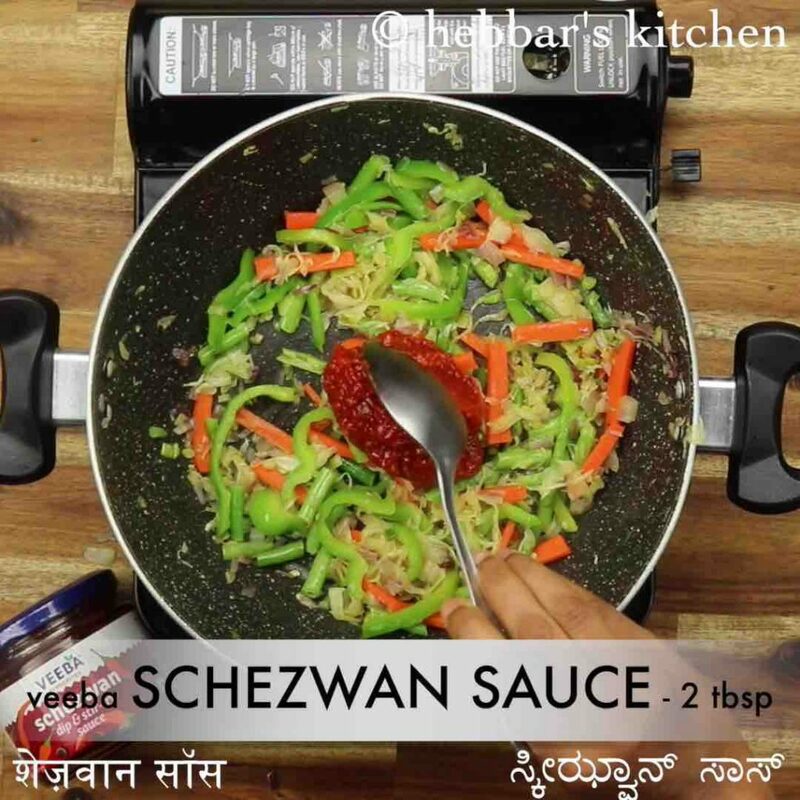 in addition, the spice level in the veeba sauce is apt and perhaps can be liked by everyone. basically, the spice level is medium but can be easily controlled by adding more. but if you do not have access to it, you can always look into my schezwan sauce recipe and make it from scratch. or you can also use any store bought as per your taste preference. furthermore, i would like to add some more tips, suggestions and variations for a perfect spicy schezwan noodles recipe. firstly, you can make these noodles with any choice of noodles variations. but i would heavily recommend using hakka noodles compared to others like rice noodles or thick noodles. secondly, if you are using store-bought schezwan sauce, inspect the spice level before using it in the recipe. each sauce has it own variations in the spice level and you may have to adjust the quantity accordingly. lastly, once the cooked noodles are added to the pan, do not over mix it. be gentle and perhaps use fork or spoon to mix it in a high flame. firstly, in a large kadai heat 2 tbsp olive oil and saute 3 clove garlic and 2 tbsp spring onion. also, saute ½ onion on high flame. 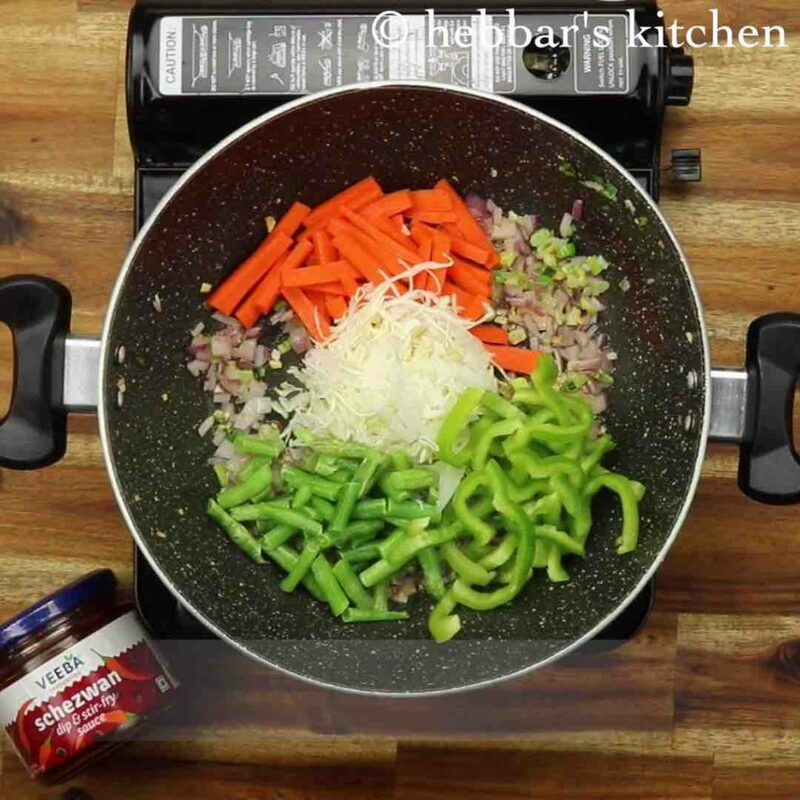 further add ½ carrot, 4 tbsp cabbage, 4 beans and ½ capsicum. 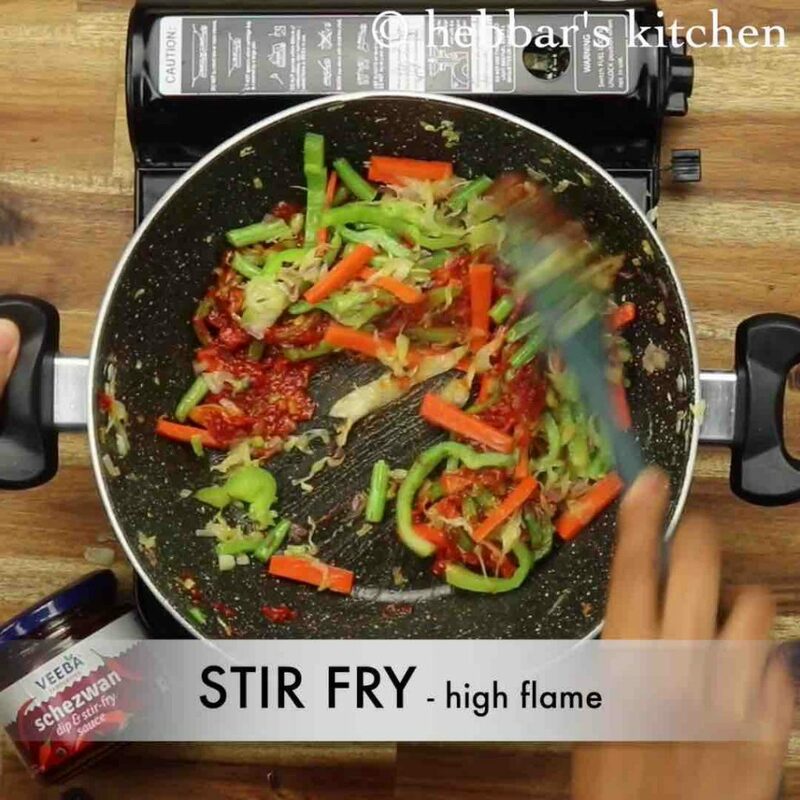 stir fry on high flame without overcooking vegetables. now add 2 tbsp schezwan sauce and ½ tsp salt. 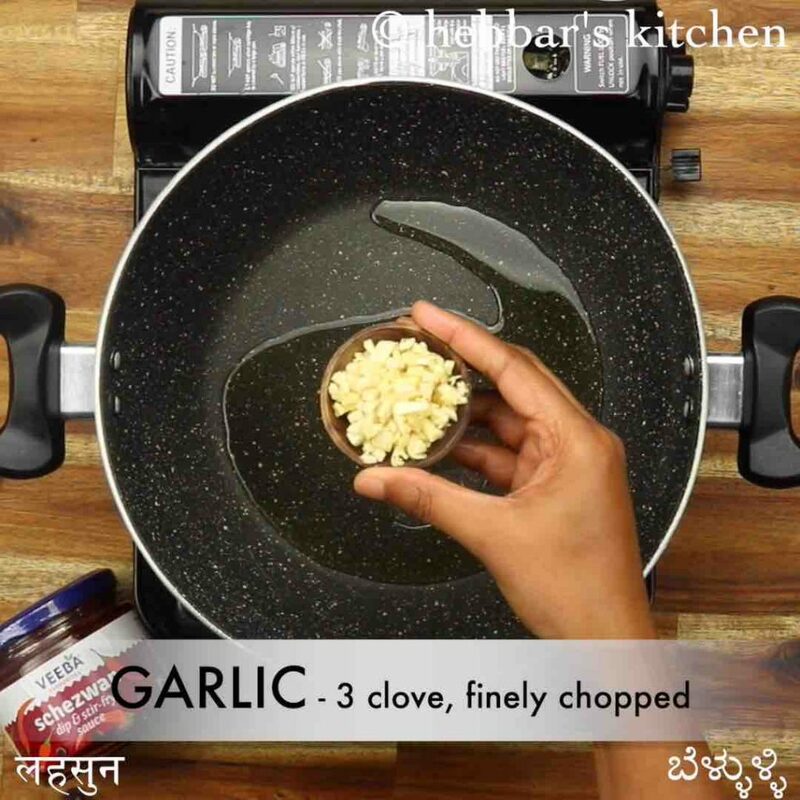 you can also use homemade schezwan sauce or schezwan chutney. stir fry for a minute making sure sauce is well combined. furthermore, add in cooked noodles and stir fry on high flame. mix until the sauce is well combined. 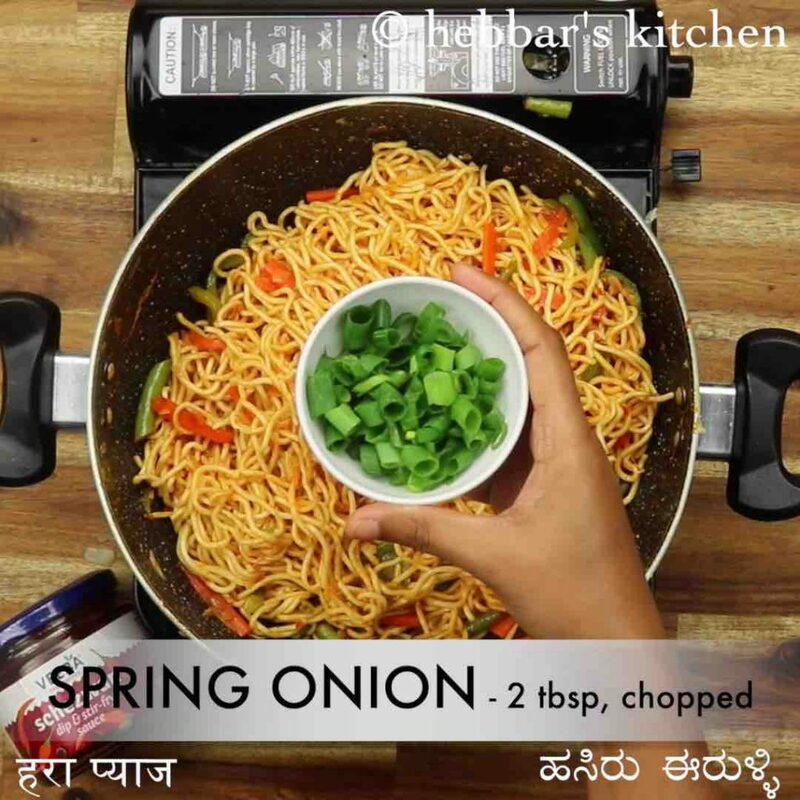 finally, add spring onions and enjoy schezwan noodles. 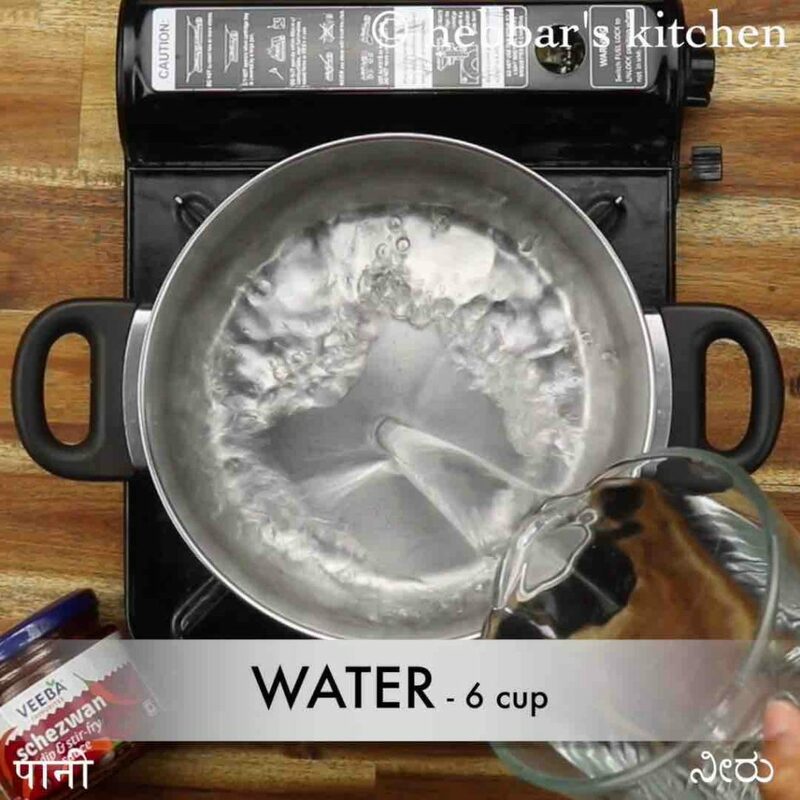 firstly, in a large vessel take 6 cup water, 1 tsp salt and 1 tsp oil, get the water to a boil. now drop 250 grams noodles. you can use hakka noodles or noodles of your choice. 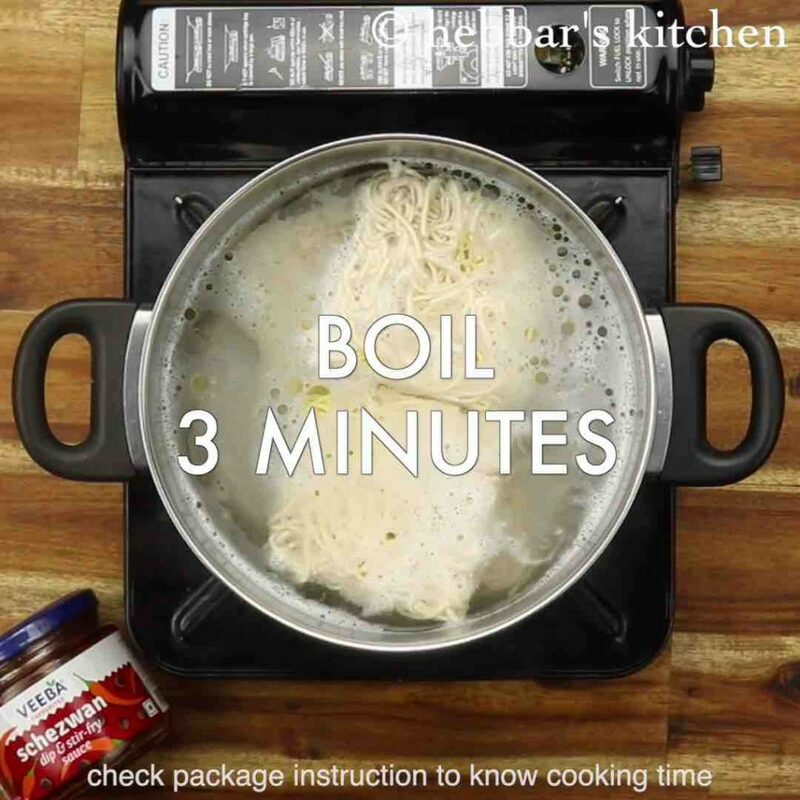 boil for 3 minutes or refer package instructions to know the cooking time. drain off the noodles and keep aside. in a large kadai heat 2 tbsp olive oil and saute 3 clove garlic and 2 tbsp spring onion. firstly, do not overcook noodles as it turns mushy when stir-fried with sauce. also, add vegetables of your choice and for protein use tofu or meat. additionally, stir fry on high flame to get a smoky flavour. finally, schezwan noodles recipe tastes great when prepared slightly spicy.